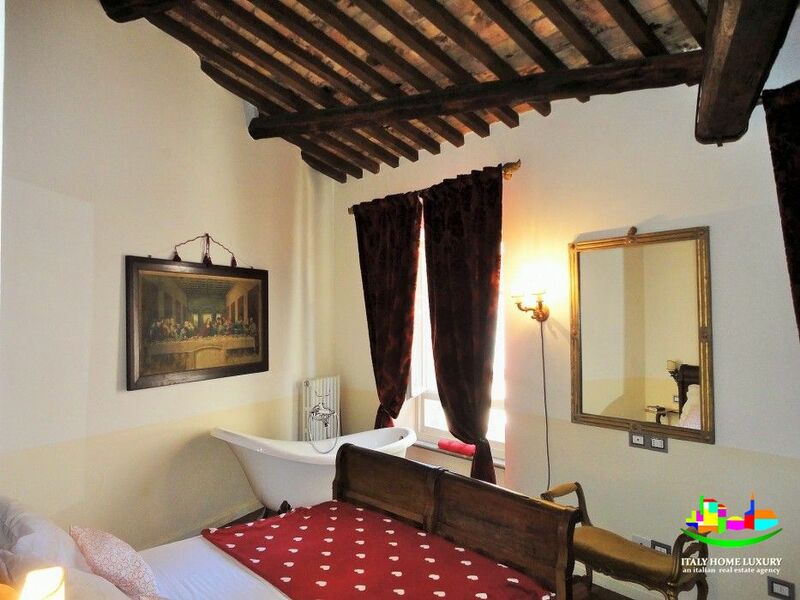 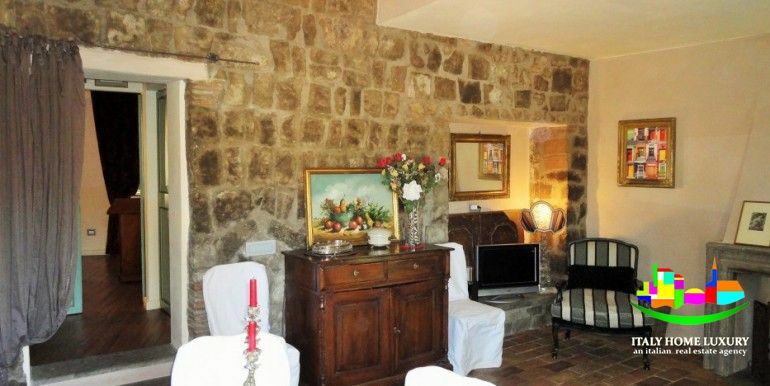 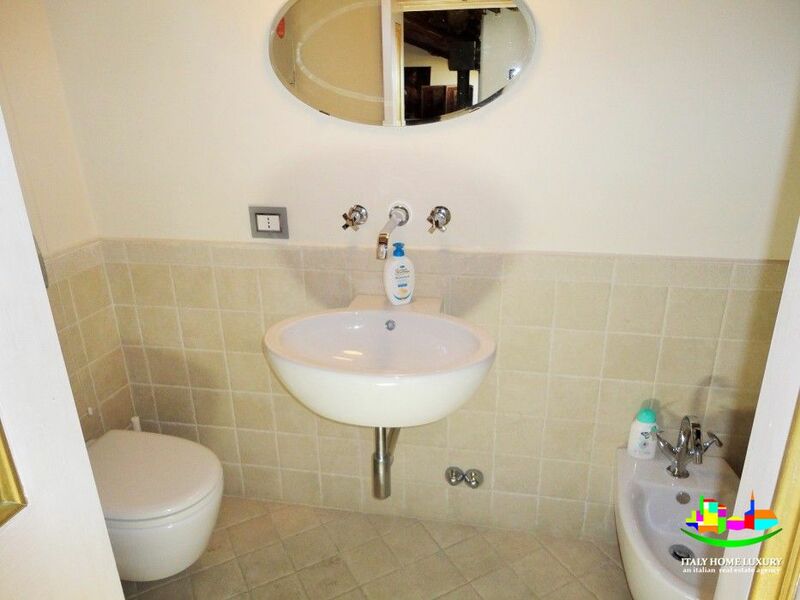 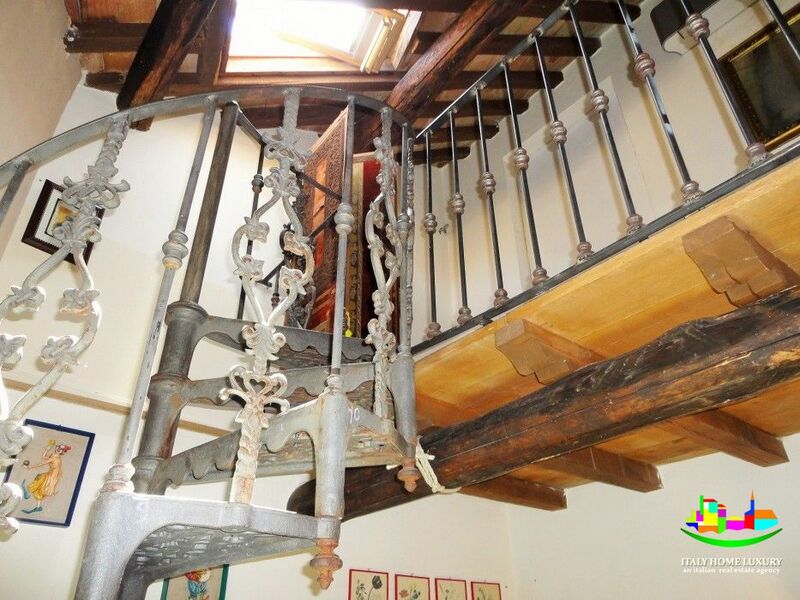 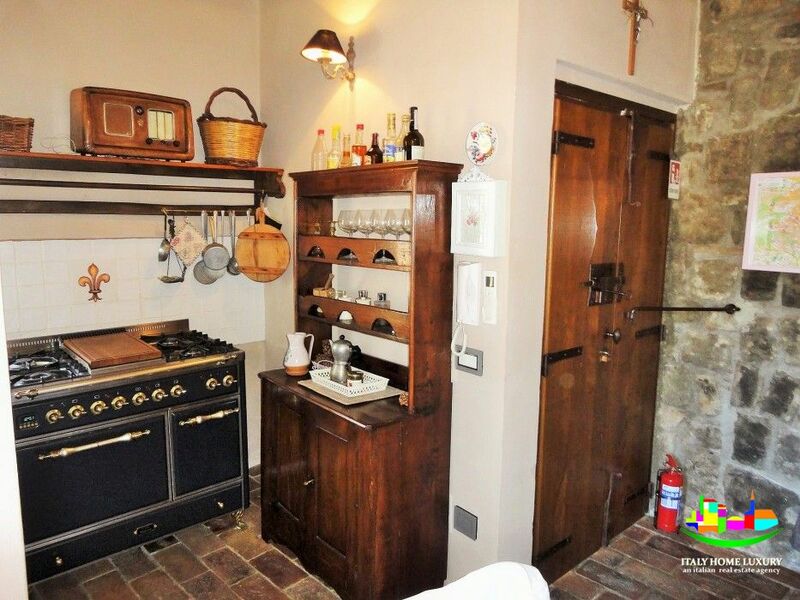 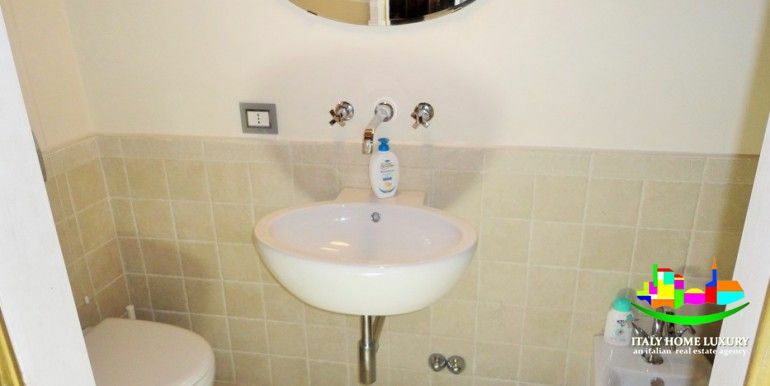 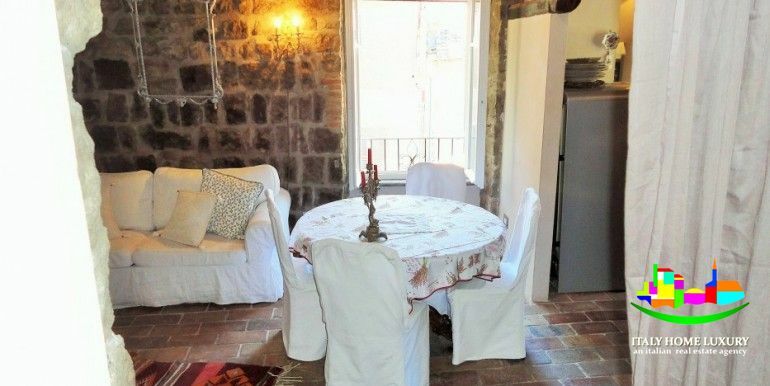 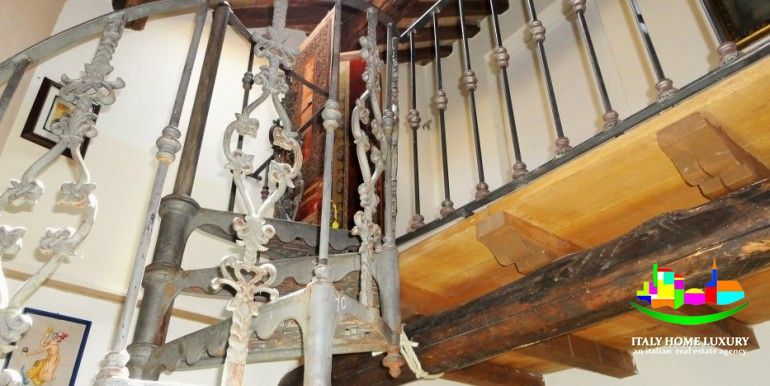 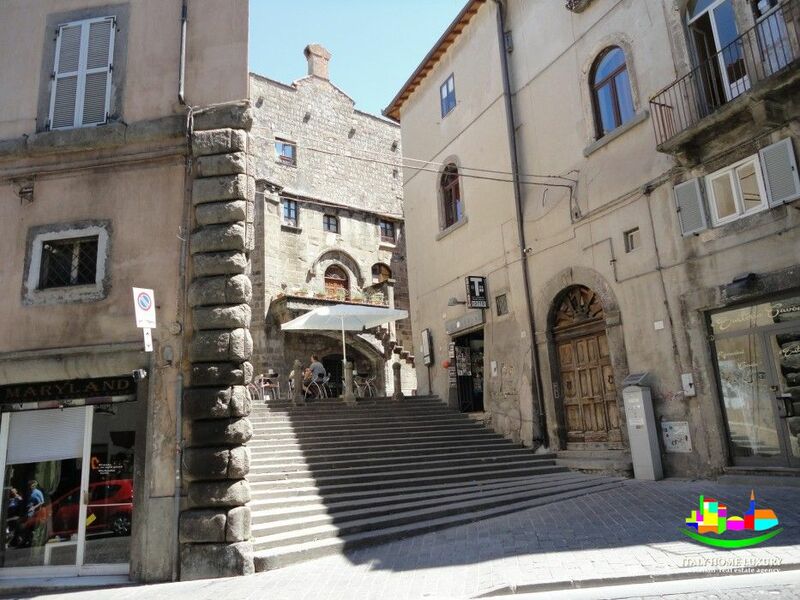 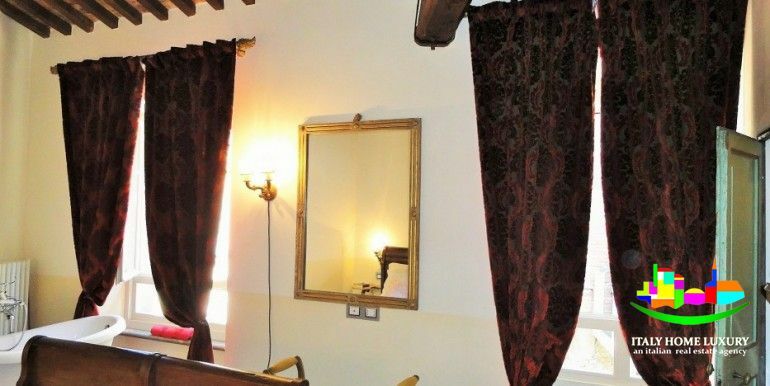 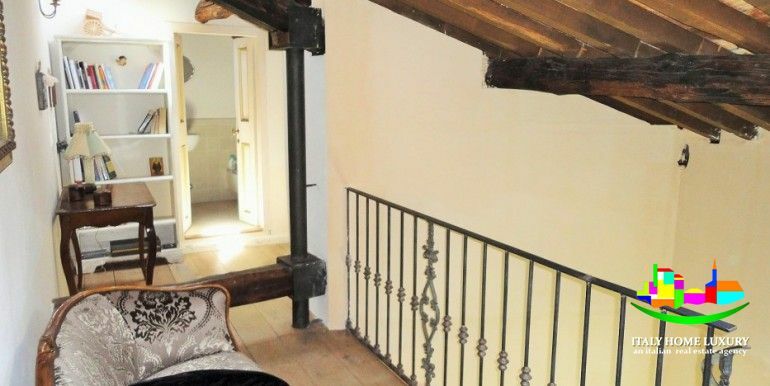 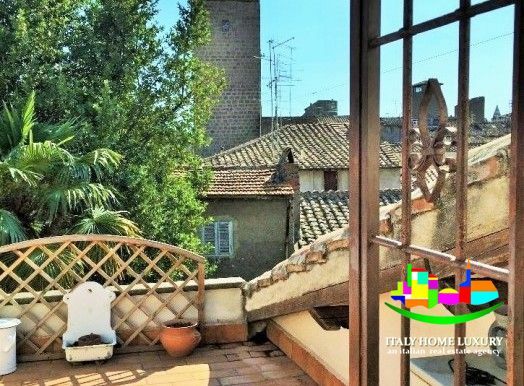 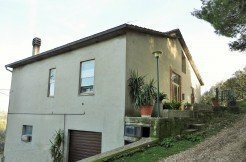 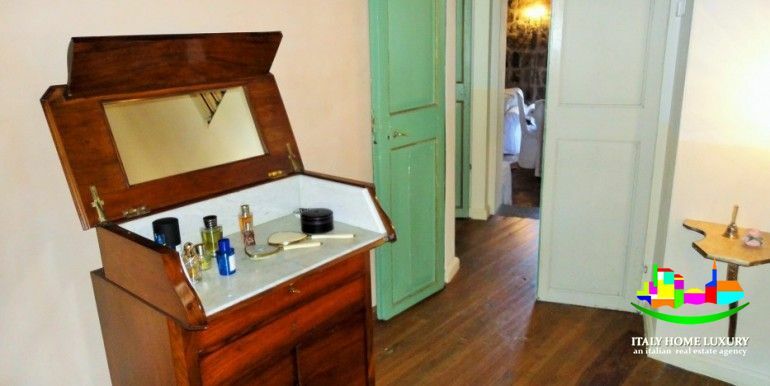 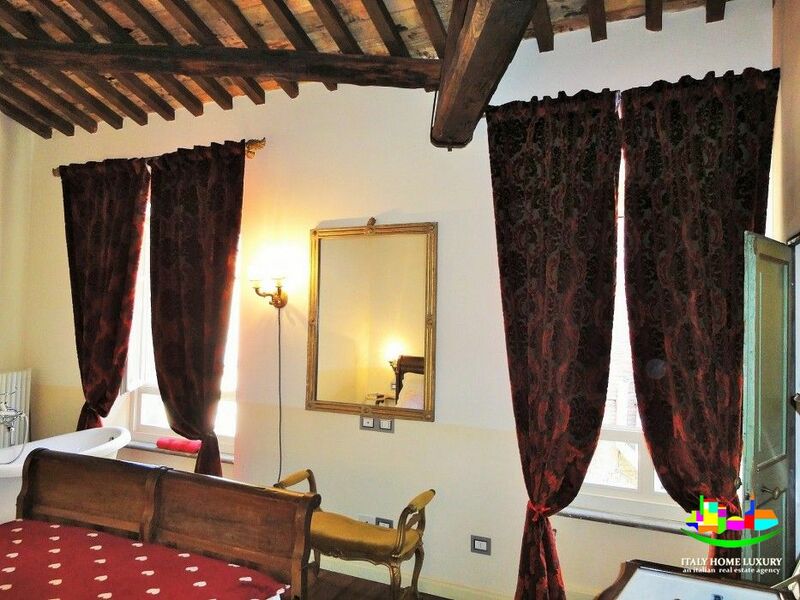 Apartment for sale in Viterbo in the medieval district. 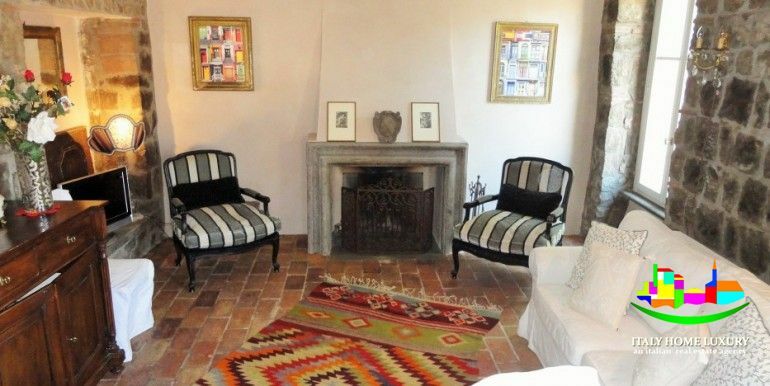 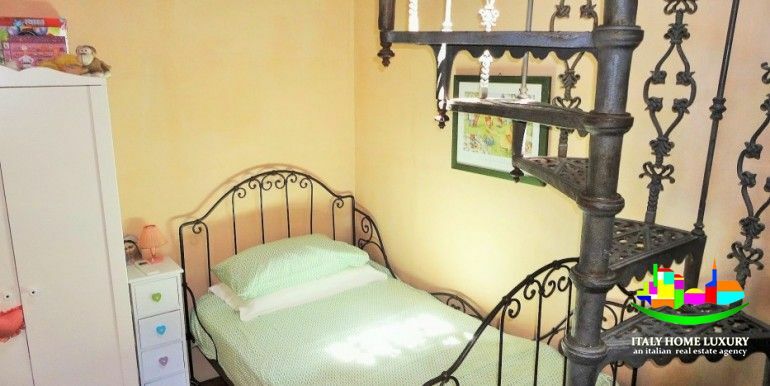 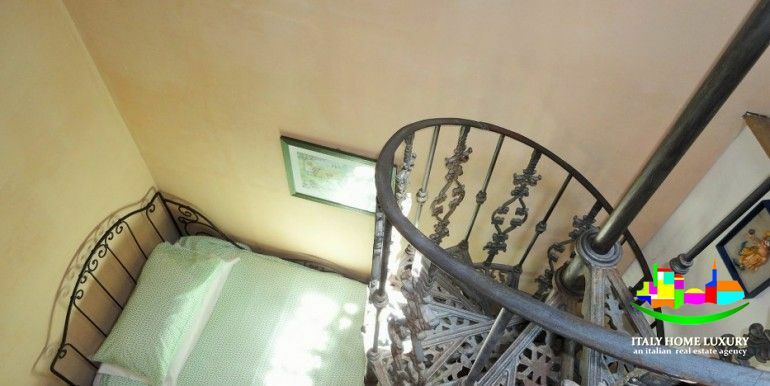 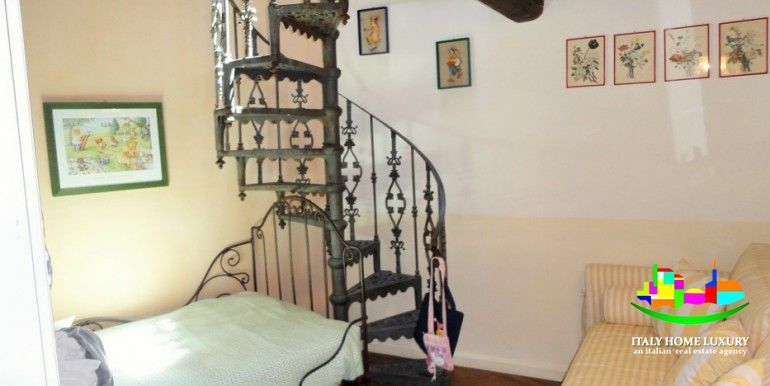 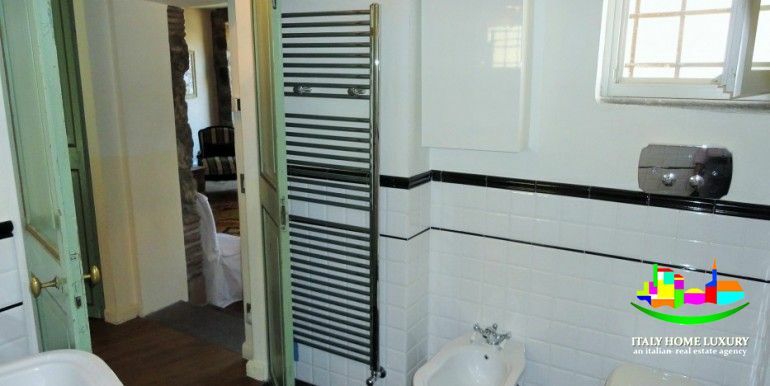 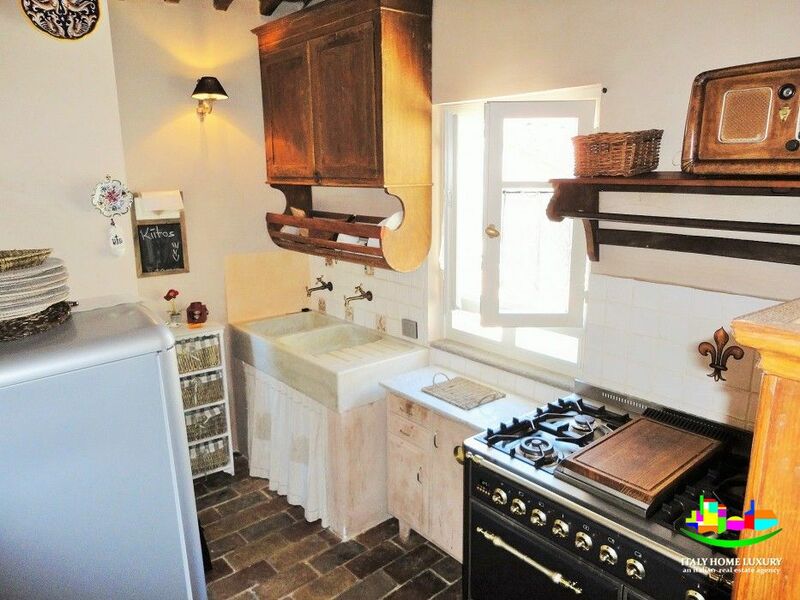 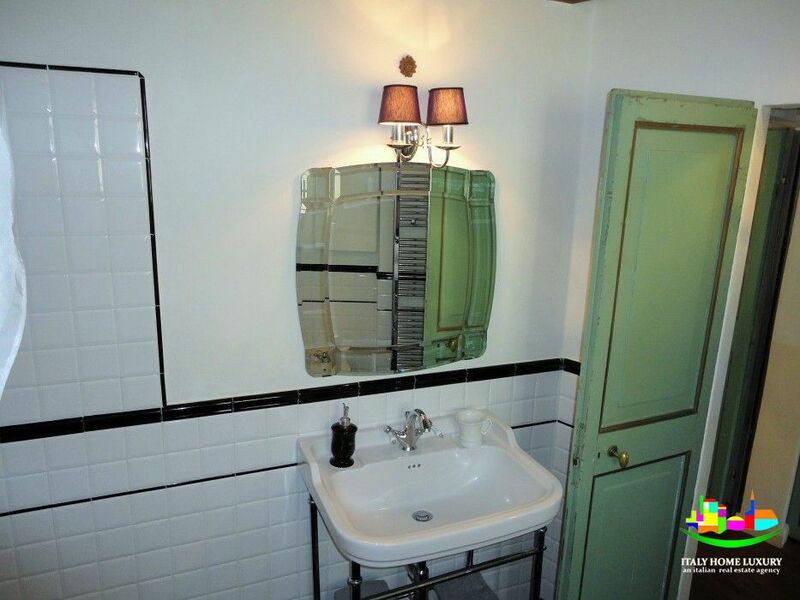 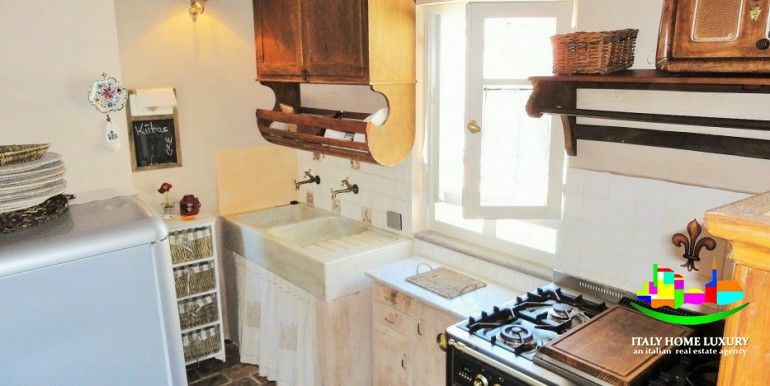 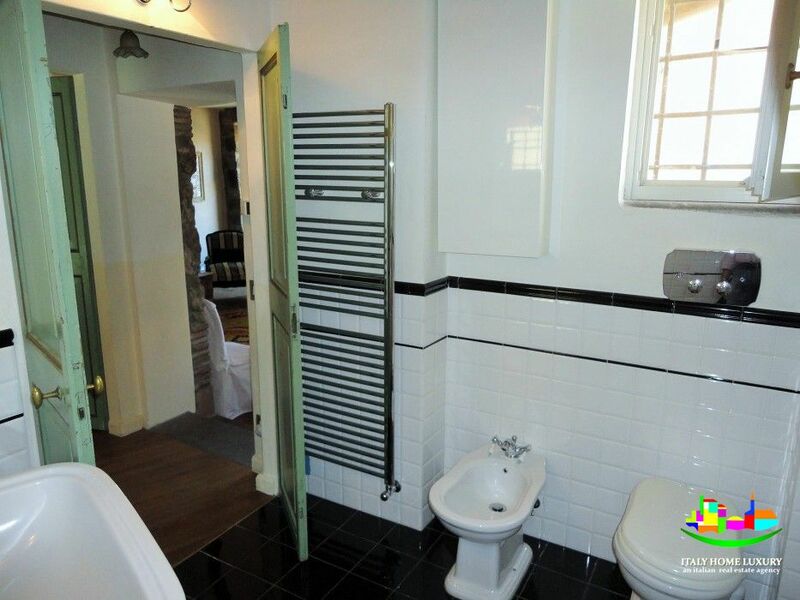 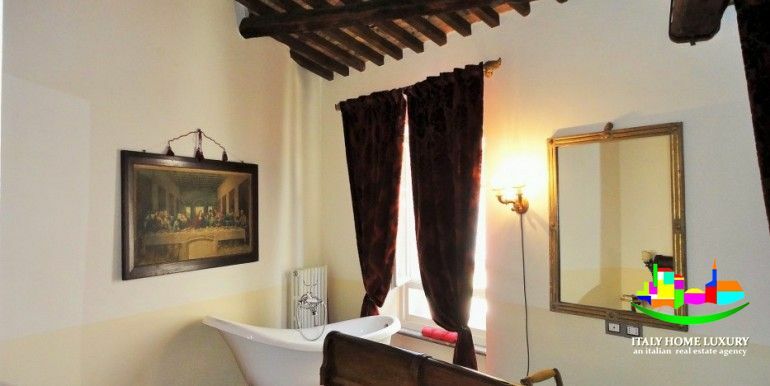 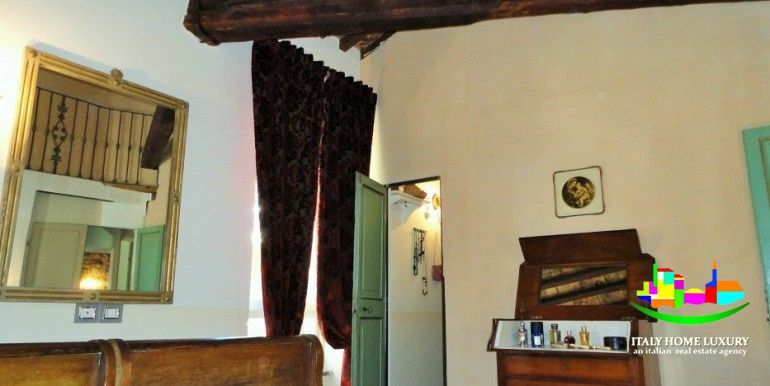 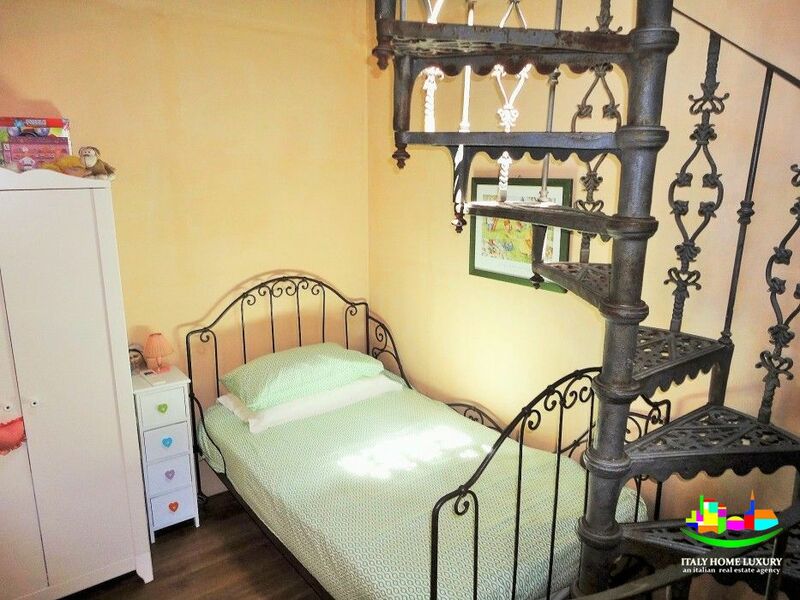 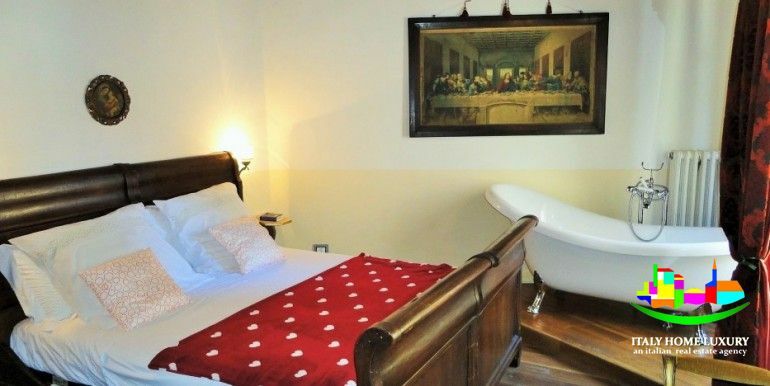 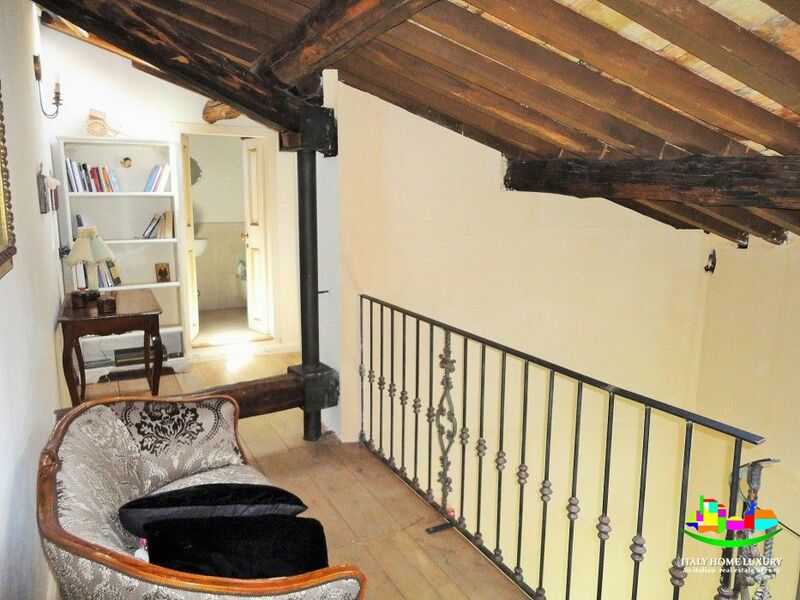 This delightful unit is located in the heart of the city, in the medieval quarter. 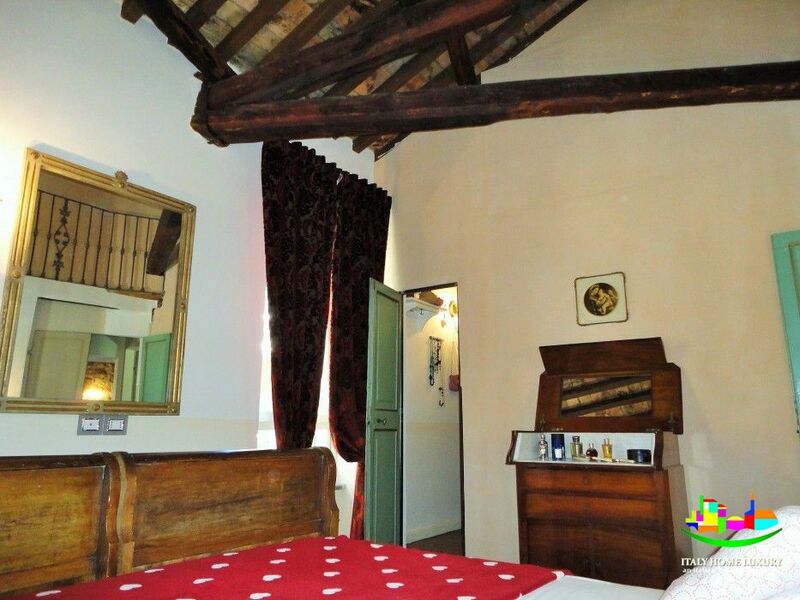 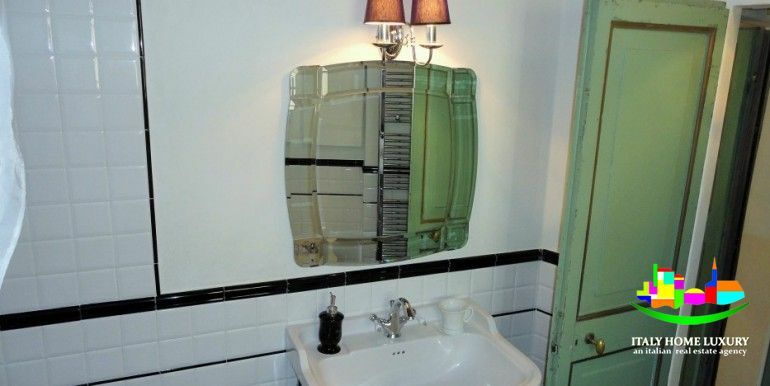 Vintage residence finely restored with quality materials and equipped with all comforts. 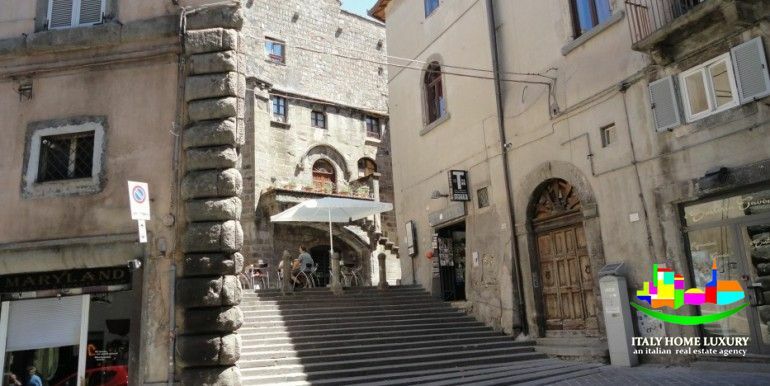 The entrance is hidden by a private courtyard …….. 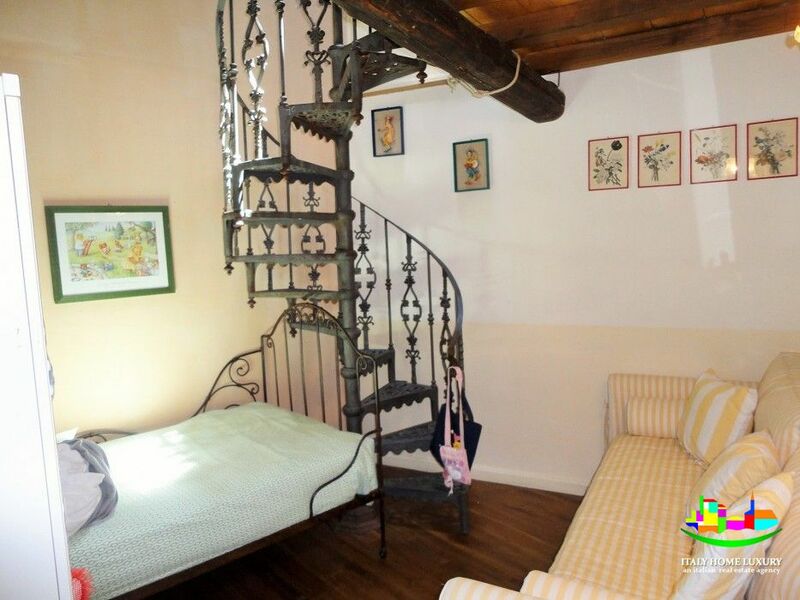 This apartment has a total surface of 125 square meters on two levels and is located on the first floor. 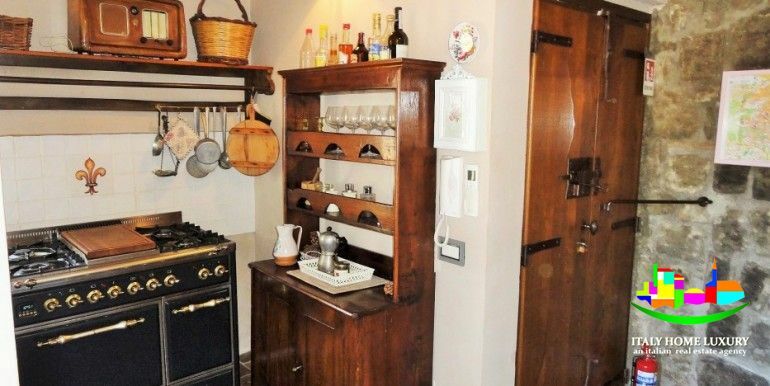 As soon as we enter, we find ourselves in front of a large open space with a fully equipped kitchen. 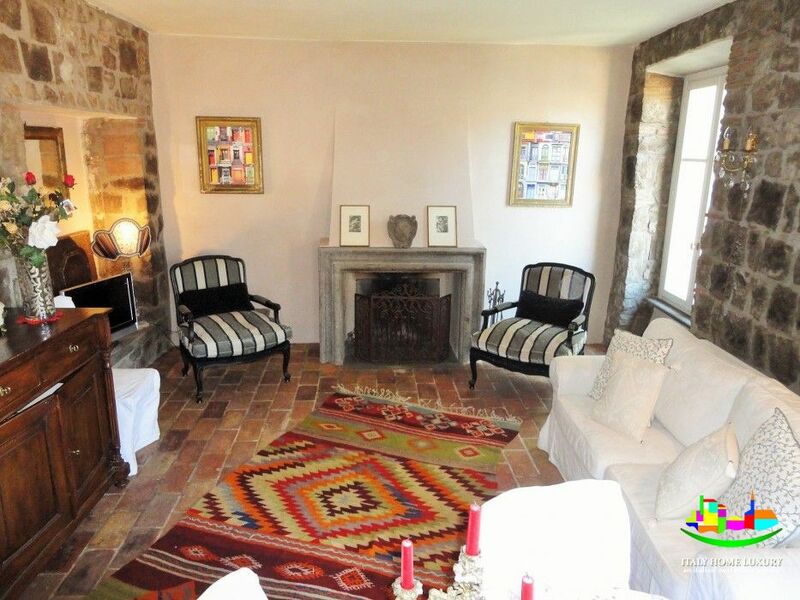 In this space you will find a sitting area with a fireplace and a dining area. 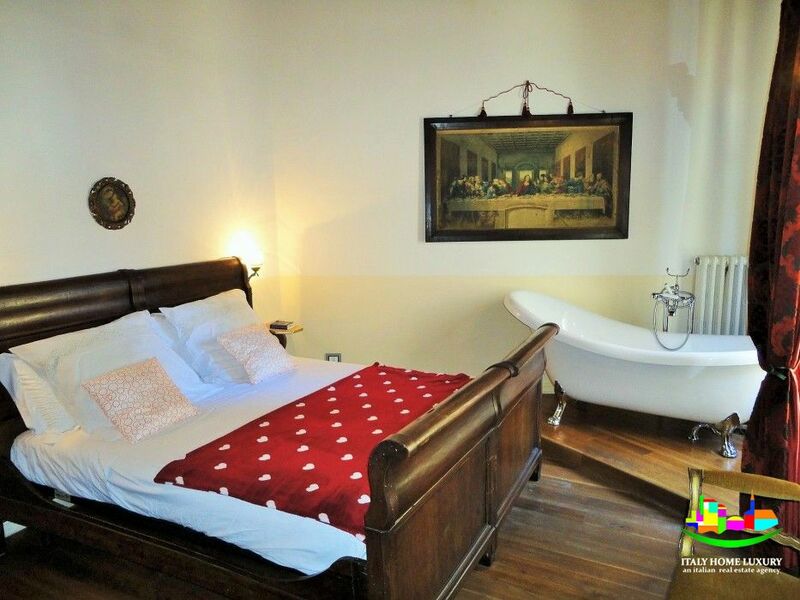 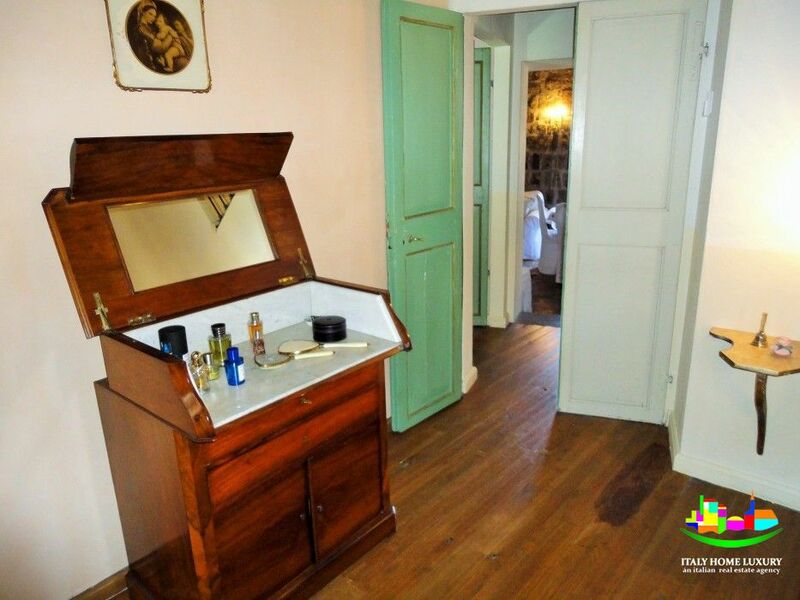 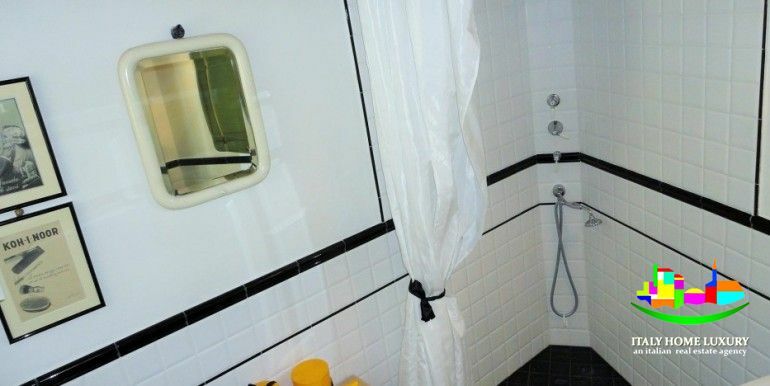 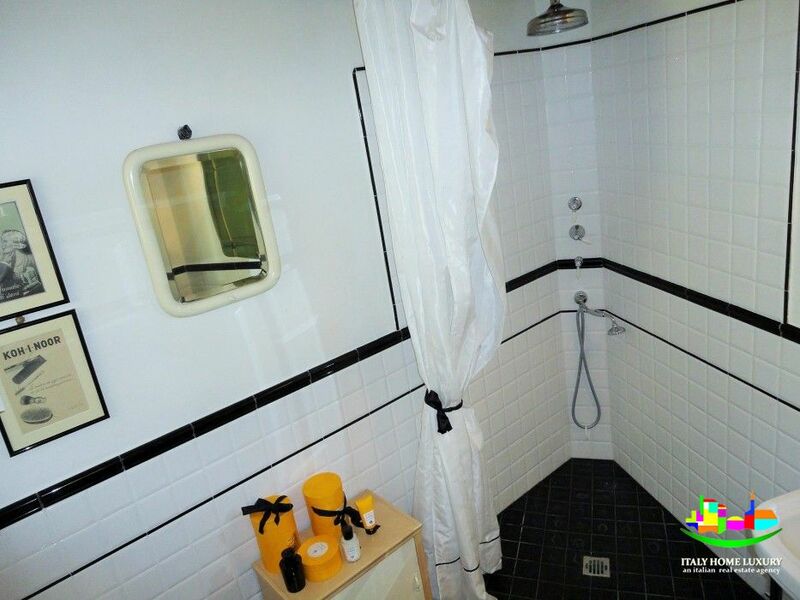 Always on the same level we have a double bedroom with bath-style, undoubtedly of great charm and a walk-in closet. 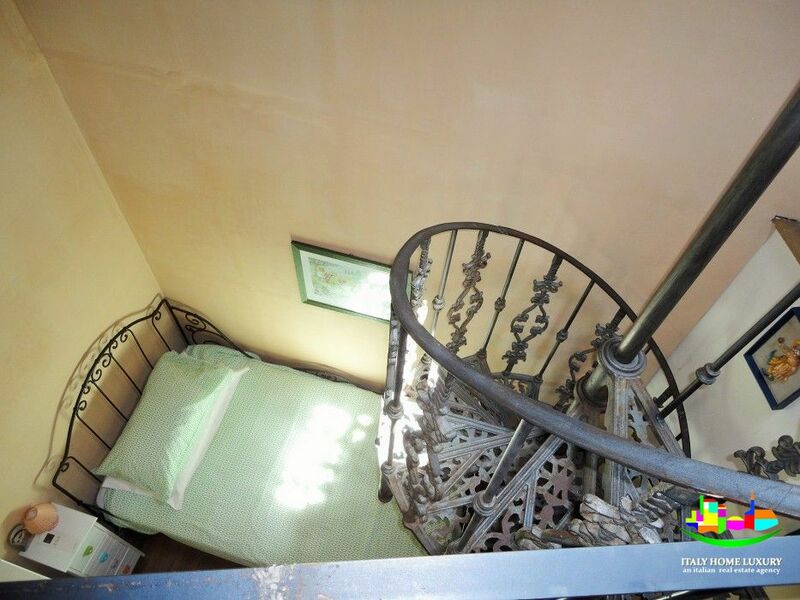 At the same level a comfortable bathroom with shower and finally a single room with liberty style staircase for access to the mezzanine. 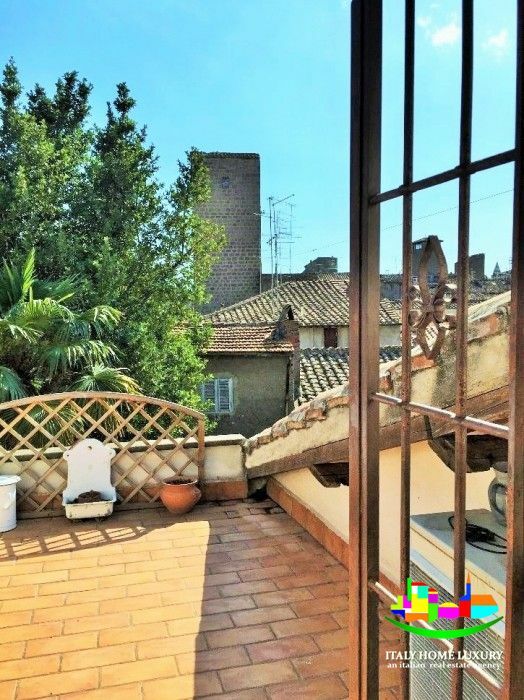 Here we find a reading area, a mini study and a bathroom, without forgetting access to a terrace that allows us to admire the whole district from above. 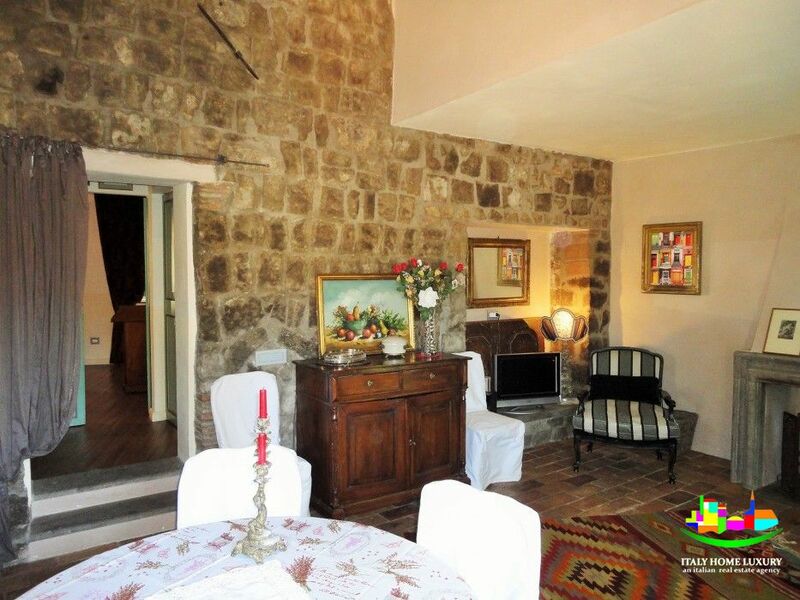 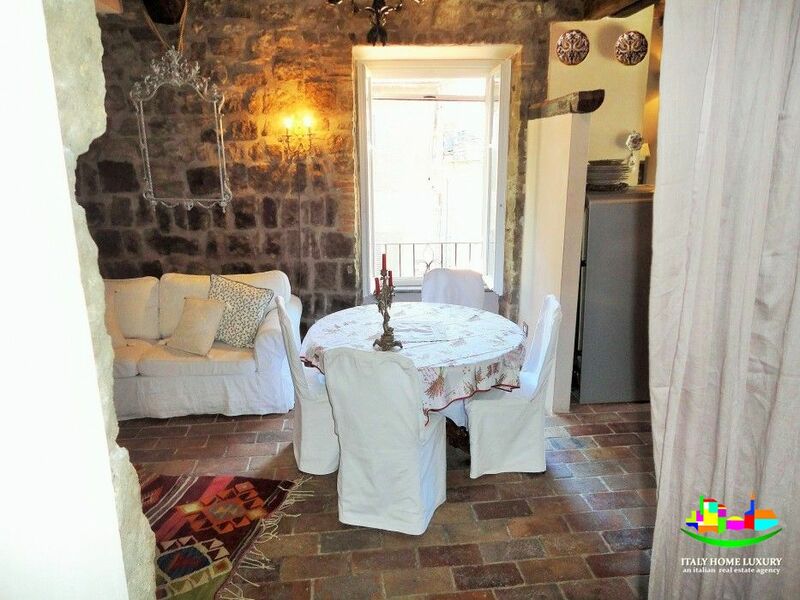 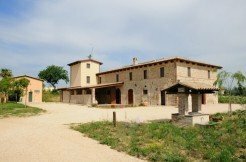 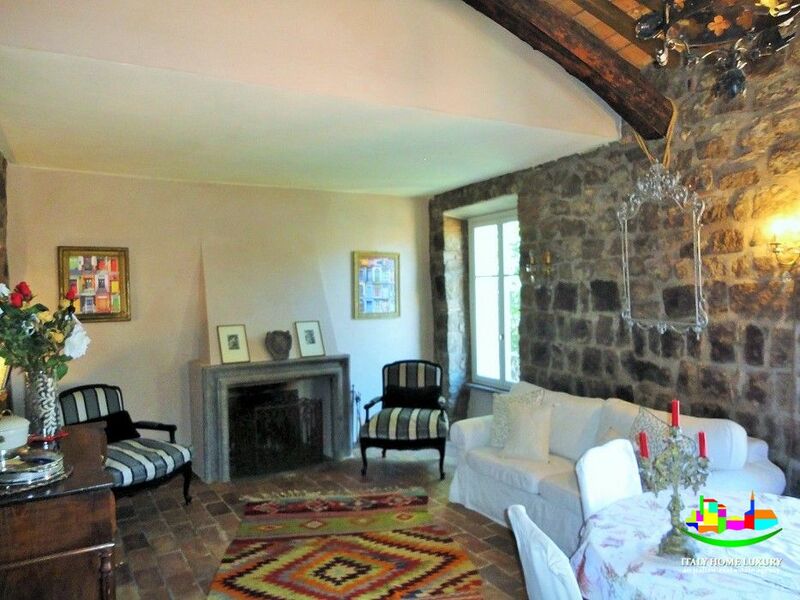 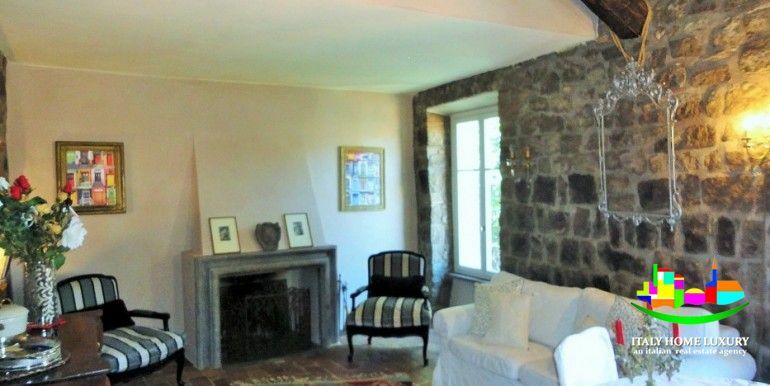 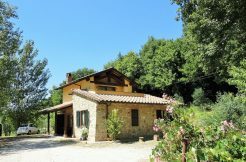 Do not forget the presence of a cellar / tavern with a further 16 sqm available.